Your local Vehicle Testing Station for Papakura and Takanini. 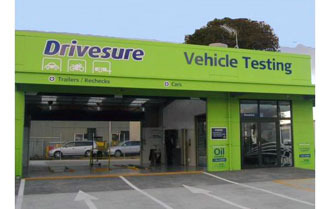 The Drivesure difference is our helpful, efficient service. We are experts in vehicle inspections, and whilst we try to pass your vehicle we always put your safety first. Located across the road from the Papakura Pak-N-Save on Great South Road. Mechanical Warranty Service Inspection – keep your expensive Warranty valid.